February 4, 2017 Jim-Kouri 0 Comment federal courts, Judge James Robart, Muslim Refugees in U.S. The federal judge — who on Friday issued a restraining order on President Donald Trump’s program to prevent Muslim refugees and visitors from a number of terrorist hotbeds from entering the United States until they can be vetted and certified as no threat to American citizens — is an activist who believes his job is to provide social justice rather than interpreting the U.S. Constitution. 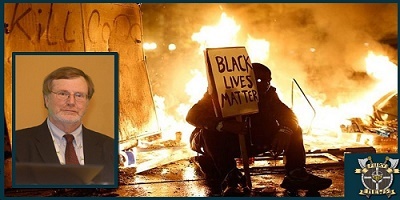 Ironically he is the same judge who made national headlines in 2016 when he ruled that “Black Lives Matter” in a federal courtroom, thus giving a radical, violence-prone group legitimacy. Judge James Robart is credited with giving Black Lives Matter their name during his ruling against police. 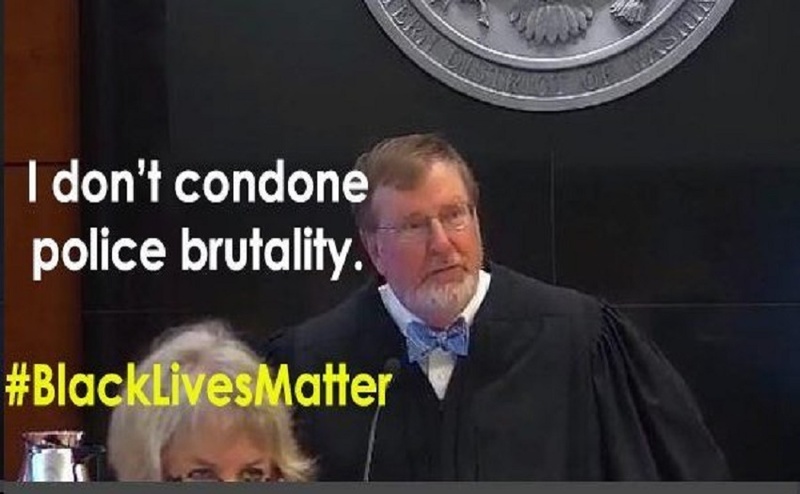 U.S. District Court Judge James Robart made his Black Lives Matter declaration while hearing a case against the Seattle (Washington) Police Department that opposed the implementation of new police procedures that city. According to Lt. Stuart Larkingwicz of the American Federation of Police, Robart’s actions and statements amounted to a federal judge officially supported the activist group from the bench. The Seattle Police Department was accused of using excessive force against non-whites in the city. The police chief and other officials promised to make changes in order to avoid federal civil prosecution. But Robart insisted the police union had been dragging its feet implementing changes. “This decision was all politics and no substance. It’s not based on anything in the U.S. Constitution, either. When Obama had a ban on Iraqis and others coming into the country, where was Judge Robart? He was on the bench then, as well. He’s a part of the RINO [Republican in name only] wing of the GOP and sees his job as being someone who will mete out ‘social justice’ to the downtrodden,” said former military officer, police commander and political strategist Michael Baker. 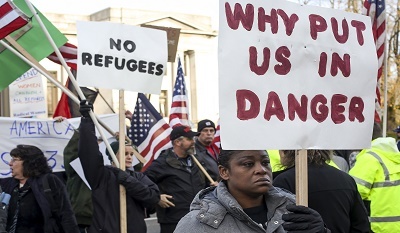 Also, on Saturday, veteran watchdog Larry Klayman, the founder of both Judicial Watch and now Freedom Watch and a former Justice Department prosecutor, issued a statement in the wake of the what he calls an illegal decision by a federal judge in Seattle to place a temporary restraining order on the recent executive action by President Donald Trump to put a 90-day hold on immigration from 7 Middle Eastern countries, all of which harbor huge numbers of Muslim terrorists bent on harming the United States. “The ruling is regrettably not surprising, as this judge not only disobeyed and flouted the law but apparently was more intent on making a name for himself in a very leftist state, Washington, and around the nation. While he was nominated by former President George W. Bush, this means little to nothing. The Bush family and many of its Republican establishment officials, after the unsuccessful presidential campaign of Jeb Bush, not only harbor an animus against President Trump, but W.’s appointed federal judges during his failed administration were generally not strict constructionists of the Constitution, or the rule of law. In addition to this renegade Seattle judge, James Robart, who also has taken over control of the Seattle Police Department, I am reminded of another W. appointee, federal judge Murray Snow who presides in the federal court in Phoenix, Arizona, who not only also has taken control of the Maricopa County Sheriff’s Office, but unethically persecuted former Sheriff Joe Arpaio, boasting to his wife that he was bent on destroying Arpaio while presiding over a contempt trial sparked by the ultra-leftist and itself unethical ACLU. “The bottom line is this: Judge Robart has illegally and unconstitutionally blocked executive power to curtail immigration of non-citizens and non-permanent residents, all of which have no rights to enter this country at will. Here, there was not even a bar put in place by President Trump, but simply a temporary hold on issuing visas to allow time to put in place an extreme vetting process to weed out terrorists. Thus, President Trump’s reaction to this outrageous grab of judicial power was mild. Judge Robart should be impeached for his blatant political act and illegal grandstanding, obviously designed to make a name for himself.